GNK 20 (left) and GNK 21. Garmin International today announced the GNX 20 and GNX 21, the newest offerings in the company’s marine instrumentation lineup. Both offer customizable displays and low power consumption. 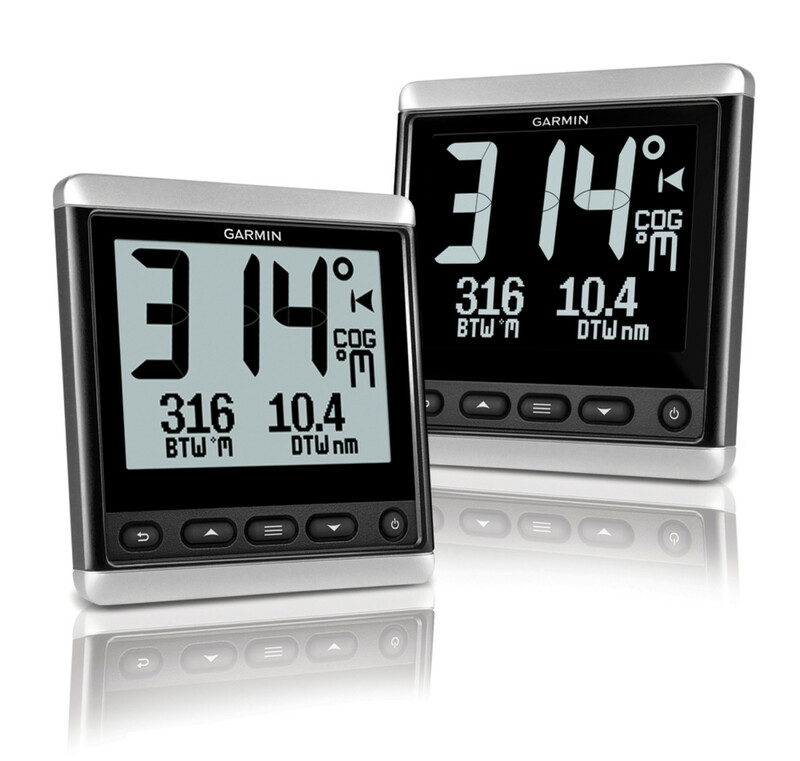 The GNX 20 and GNX 21 have 4-inch, glass-bonded, monochrome displays that show more than 50 marine and vessel parameters, including depth, speed, wind and navigational data. The GNX 20 overlays black digits on a white background and the GNX 21 puts white digits on a black background. If a different backlight color is desired, the display can be tailored by choosing from among seven colors. With customizable user profiles, the GNX 20 and GNX 21 allow the screen layout to be configured to the user’s preferred settings by showing single, dual or triple functions or a dedicated gauge and graph mode. Both have the ability to be flush or flat-mounted. The GNX 20 and GNX 21 consume 350mW during the day with no backlight; 400mW are used at night when a mid-level backlight is required. The GNX 20 and GNX 21 are scheduled to be available in the second quarter and will have a suggested retail price of $449.99.